As time permits we will have ukuleles and possibly other musical instruments available for sale on this website. Bob can't devote his full time to ukulele and other woodworking projects, but as he has time to build things, they will be listed on this site for sale. If you have a particular style or size of ukulele you would like, please let Bob know and he will make one to your specifications. A deposit will not be required unless the raw materials are very expensive. When he has completed the ukulele, he will notify you that it is ready for purchase. At that point, you may purchase the ukulele for an agreed price, or it will be placed for sale on this website. All instruments for sale will also be advertised on Ebay or other local outlets. We may also have some quilt related furniture from time to time. The following instruments are currently for sale. 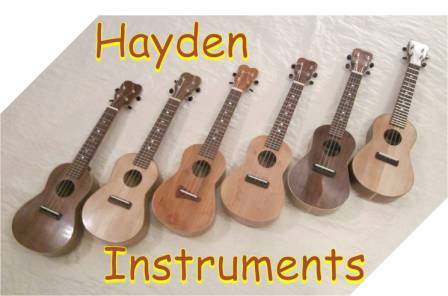 If you are interested in one of our instruments, please contact us by phone or by email for payment instructions and shipping charges. Payment may be made by check, money order or PayPal.